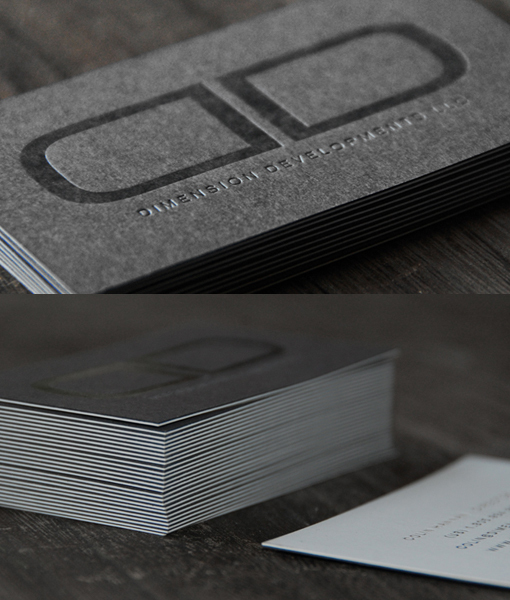 Letterpress business cards for Dimension Developments LLC. The front side included 2 color letterpress on French Paper’s Dur-o-tone in white, while the backside featured matte black foiling on top of French Paper’s Dur-o-tone in steel grey. The duplexing of two papers resulted in a charming two-toned side.